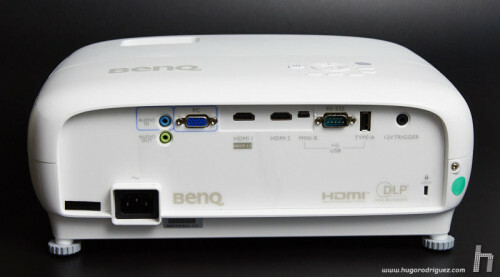 So far I have already tested a few monitors, and lately from BenQ. They are professional-grade, high-performance monitors, and they really do deliver great results. 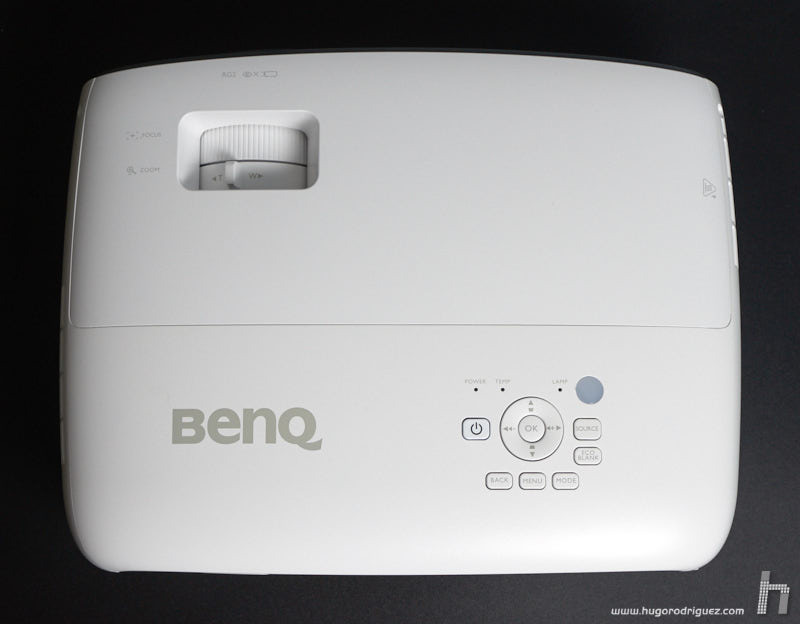 What I didn’t expect – if someone had told me six months ago- is to end up testing one of their projectors. Not for anything in particular, but because I have always assumed that reasonably priced’ projectors have, let’s say, quite fair image quality and are not very interesting, unless you have a large budget. Most of the time I have achieved a decent result, but often at the cost of sacrificing a lot of brightness, so I had to teach the class in the dark. And in cases where the brightness was sufficient, the colors look poor. Sometimes the colors are really so poor, that some photographs are really very, very strange. It is not uncommon for red, orange and yellow to appear to have deflated completely. It is true that there are already some models of some brands that for less than 1000 € already offer a decent result, but the possibilities of adjustment in the menu are very limited, and the colors are not as good. Well, in november I happened to come across an ad for BenQ in which they showed the benefits of their latest home cinema projector, the W1700. They showed so many virtues of this projector that I almost thought it was an extension of their range of professional photography monitors, so I decided to contact the brand’s representative to ask if there was a chance to try it out. And after a few emails back and forth, they agreed. Let’s put ourselves in situation…. Well, in my opinion, this W1700 comes to revolutionize the market because it competes, not with those of its price, but with those of several superior ranges. And I say this, not because I’m trying to hype this projector because I’m an ambassador for the brand, but because I’m sticking to the facts: just take a look at one of the leading projector test sites and you’ll see that in the price range of between $1,000 and $2,000, the best models have similar features to this one in terms of luminance and other aspects. But there is a “small” difference: none of these models achieve a 4K resolution, while the W1700 does. 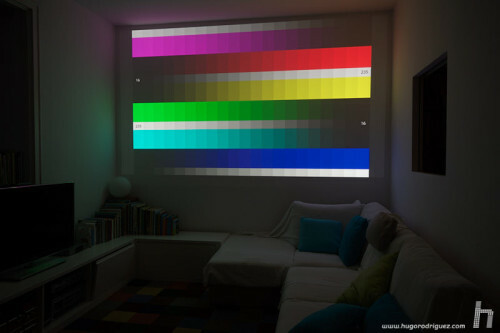 And that means it’s capable of projecting the equivalent of four FullHD projectors together…. 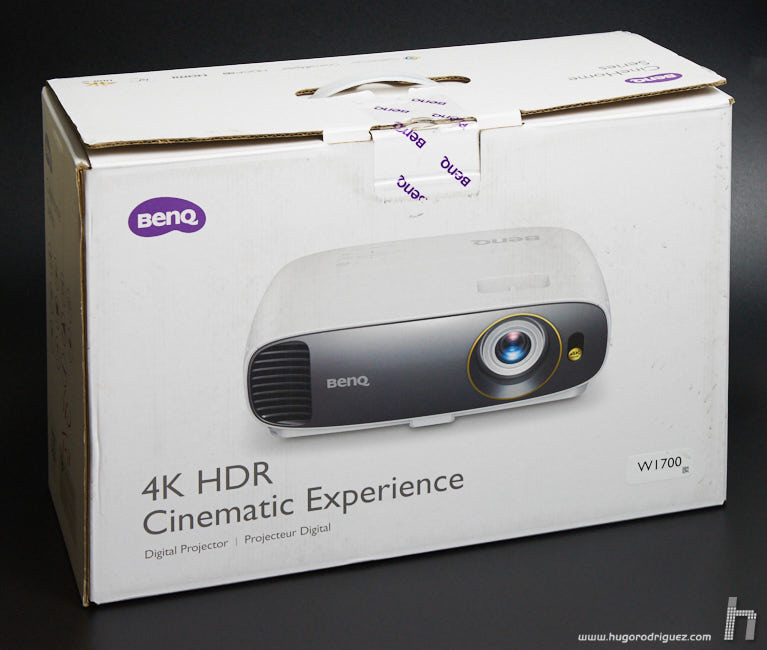 What’s more, the W1700 is a true 4K projector, which means it is capable of presenting a 4K resolution image, while many other enhanced 4K projectors do so using a variety of techniques that, in the end, do not deliver the promised true resolution. 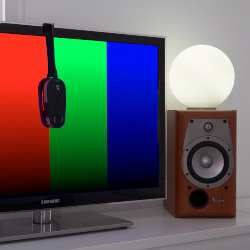 For example, some display a FullHD resolution image (which has half the resolution, and a quarter as much in pixels as a 4K) that moves 1 px up and down alternately, which at first glance makes it appear to be twice the resolution, but the reality is that the level of detail is much lower. Many models that are advertised as 4K do not really have the 8Mp that this standard defines but actually have half: 4Mp, combined with various techniques to interpolate up to 8Mp. To be short: the W1700 displays a 3840×2160 resolution (thus, 8.3 Mpixels) distinct pixels for each frame thanks to its DLP 4K chipset with advanced image processing. An enhanced 4K projector only produces half the pixels true 4K can produce, and it usually refers to pixel shifting technology. This mostly shows 2K resolution, but fired twice to show seemingly 8 Mp on the screen. 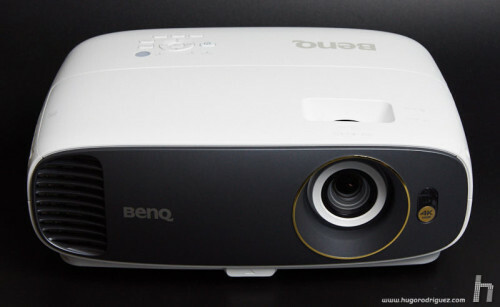 The BenQ W1700 is a projector of, say, medium size. It looks smaller in pictures than it is. It’s not like those finite projectors that almost look like a thick book of photography; no, it’s much thicker and bigger. The design, although this is a rather personal thing, I find it quite pleasant. The soft curves almost make it look like a cushion that you want to caress. It weighs about 4 kilos; it’s not too much, but it’s certainly not easy to carry on a shoulder strap, although it’s not difficult to carry either. I’d say it’s a little on the edge of portability. 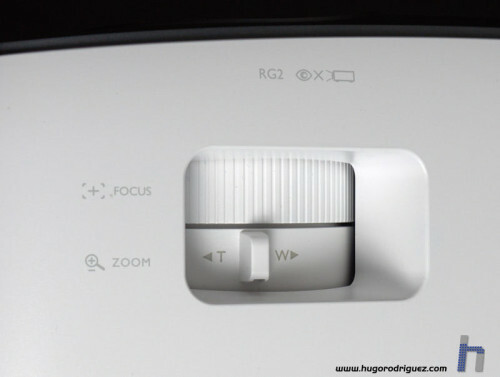 The location of the controls is typical: the zoom and focus ring next to the lens, the pad button to access and control the menus, and all the connections on the back. It has two HDMI inputs but they are not the same. The one on the left. 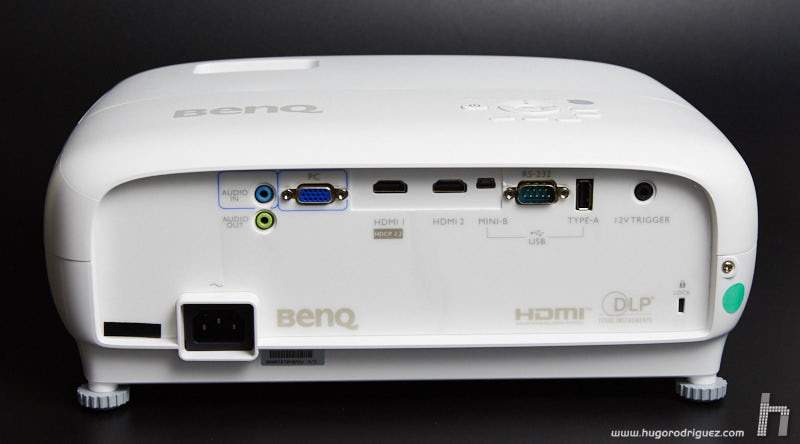 It supports HDMI 2.0 while the other supports 1.4, so it is always preferable to use the 1st. It also has two USB inputs, a small one and a standard one. The small one is for service purposes only, but the normal one allows you to connect a flash drive or hard disk directly and play it from there. In addition, it provides 1.5A of current, feeding sucker discs. The legs allow tilt adjustment on both axes, with the only front leg easily adjustable in height. The back panels are threaded to allow for easy levelling. One snag is that the glue on the front leg comes off easily, but with a few drops of glue you can fix it quickly. 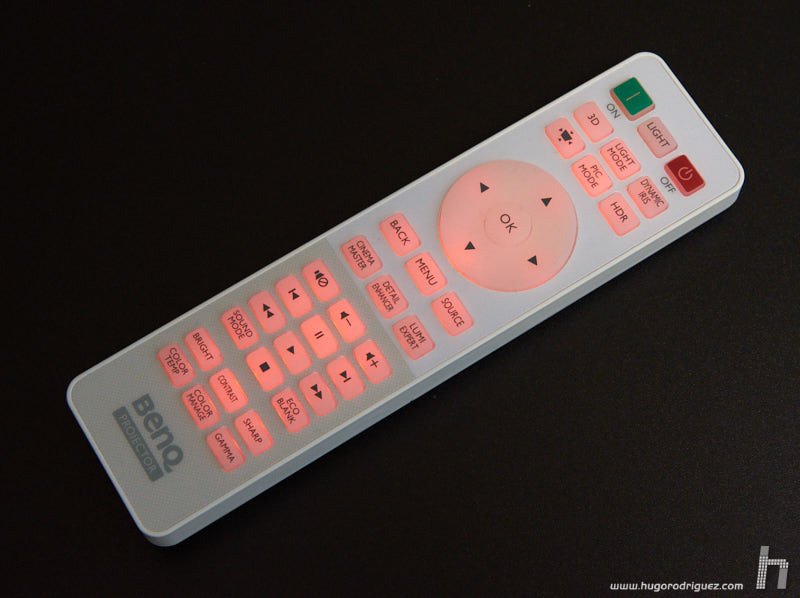 The remote control is very well organized, very bright, easy to read, and all the keys are backlit for easy viewing in the dark. The layout of the keys reminds me of models of much higher range and price than this one, with shortcuts to the important things to be adjusted: brightness, contrast, focus mask, color temperature, gamma curve, HDR mode, geometry settings, advanced color management… Can you ask for more? However, some keys are disabled but only indicated in the manual. For example, Dynamic iris Detail enhancer or Lumi expert may be from another model that share this very same remote with, but they don’t work on the W1700. The installation does not involve any complications. Basically it’s just plug in, turn it on and it’s done. The projector automatically recognizes the connected source and displays the image in a few seconds. Switching on takes a long time (about a minute), as does switching off. In that sense, it is similar to the other projectors. 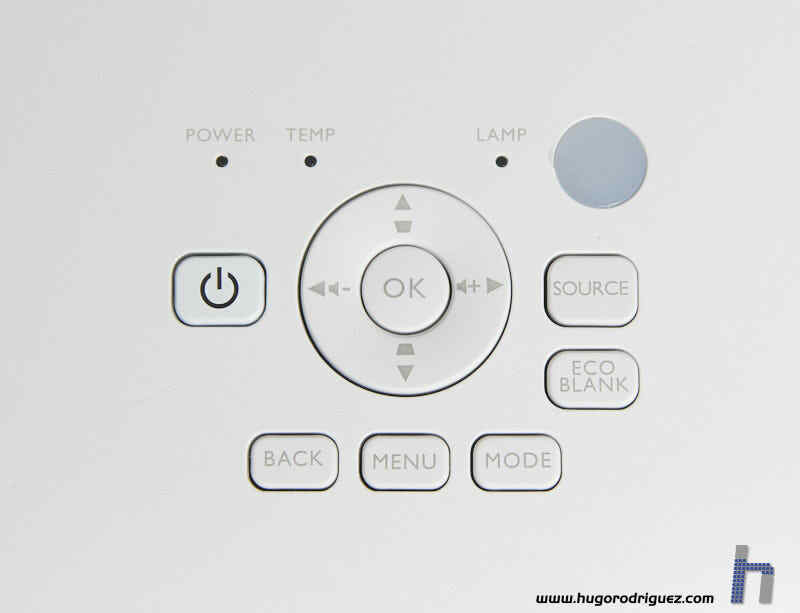 Once switched on, in a completely quiet room the fan is heard slightly, but if you choose the “Eco” mode, in which the bulb goes into low voltage (and the image becomes less bright), the fan also slows down and is actually very very quiet (33 and 29 dBa respectively). In my tests, I have always used it in the dark room, and I did not need to use the normal mode; the Eco has the right brightness. The first (pleasant) surprise came when I realized, after a while looking at images, that I had never adjusted the convergence. I mean, depending on how the projector is placed, the image is distorted in a trapezoid shape, instead of being a perfect rectangle. I was a little perplexed because I had slightly adjusted the projector to tilt it slightly upwards and I knew that when I did that it was not perpendicular to the wall and therefore a trapezoidal image must appear. Wow, that’s what’s happened to me all my life with the projectors in the classrooms. But it turns out that -surprisingly- the W1700 has an internal gyroscope and automatically corrects itself! Yes, folks, it looks like mobile technology is now making its way into the projectors as well. I picked up the projector with my hands and tilted it slightly up and down and found that it does indeed correct itself in a few moments. What a great idea! PS: Later I knew that is something already present in projectors for some time, but I was never aware of it. With the projector already well installed, framed and focused, comes the second surprise: the image quality. I’m not really sure what words to use to describe it. I don’t want to seem repetitive or overly optimistic. It’s true that as a brand ambassador I’m committed to talking about its products, and it’s easy to put in a good word for them, because they have many virtues. Obviously I am going to detail their virtues, but like all the apparatuses of this world, they are not free of defects. Of course, I’m not going to get mad at them, but it’s my moral obligation to describe them. Well, trying to moderate myself with my words, I have to admit that this is the first time in many years that an image has impressed me so much. It’s as close to a real movie theater as I’ve ever seen in a mid-size room. Surely my impression is conditioned by the fact that the chosen wall is 3.8 m wide and the image practically covers the wall from corner to corner. Imagine the situation: you’re looking at a 170-inch image (you laugh at the 60″ of the most cutting-edge TVs today) that practically fills a wall almost 4m wide. As you can guess, it’s impressive when you’re in that room. Okay, size matters, and a lot. But it’s not just the size, because any projector can fill a screen like this; it’s just a matter of separating it at the right distance. There are many aspects together that really impress. On the one hand, the shooting distance to which this screen is able to fill is quite short: little more than 5 m.